Nashville’s Pediatric Dentist, Why Choose Us? 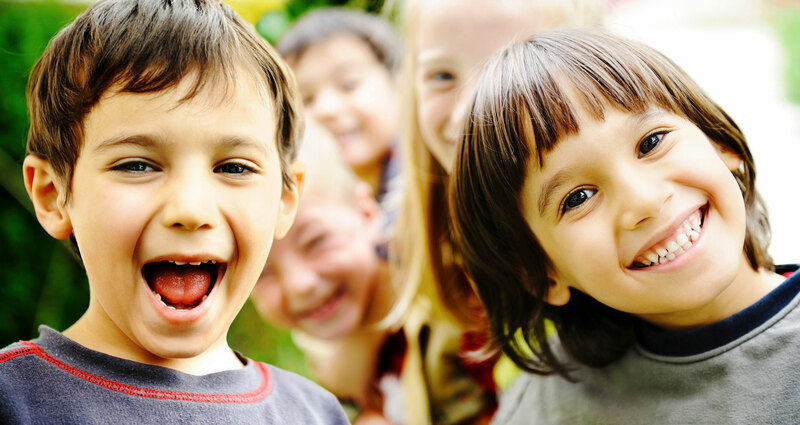 As pediatric dentists in Nashville with diverse training and experience, we can offer your child the best, most complete dental services available. Our doctors have specialized training and experience in pediatric dentistry. For example, after completing dental school, pediatric dentists receive an additional two years of residency training to care just for children’s dental needs – learning everything about the development of the human mouth from infancy to adolescence. Special emphasis is placed on behavioral development and treating children with unusual anxieties and those with special needs. Our office is specifically designed to stimulate and entertain children to make them feel comfortable and relaxed. We have taken every effort to “think like a child” when designing our office. Our reception area was designed just for children, with video games, puzzles, and books. We have a huge collection of children’s movies playing on our big flat screen TV’s, toys, puzzles, and books. Your child immediately senses that our office was created for their comfort. We have filled our office with a group of friendly and dedicated team members. Each of them was handpicked because they know how to talk to, think like and bond with children. Once you witness our smiling, playful staff interacting with your child you will know what we mean. Our mission is being able to talk to and connect with your child. If they are nervous, we will reassure them; if they are excited, we will help them become calm. We strive to say something positive about each child at each visit, to make them feel good about themselves and about their experience with us. We will also take the time you need to answer your questions and concerns as a parent, and to make sure you are well informed. Thank you for a great first visit for our 2 year old. The staff was so patient and kind with her and helped everything go as smoothly as possible. Also, my oldest daughter (who is almost 5) has had major anxiety in the past about her dentist visits but now thanks to your staff being so patient and gentle with her and allowing mom to come back with her until she was ready, she now happily goes back for her check-ups on her own. My daughter had a dental injury and needed to be seen right away. They worked us in as a new patient and it went so well! We will be returning soon for cleanings! The staff is very helpful and friendly!! This is the best experience I have had at a dentist. He is now our kid’s dentist! My son loves it and it was his first time, so if he loves it then, I really love it . I wanted to take a moment to express my heartfelt gratitude for the care my daughter received this morning. An accident over the weekend resulted in my 4 year old little girl needing to have an emergency xray and exam done. The result was that two front teeth needed to be extracted. Dr. Swauger was so empathetic and tender in relaying the news and caring for her through the process. it was emotional for me to know that she’d have to lose such prominent teeth at such a young age, but Dr. Swauger intimated some of his own children’s experiences and gave me such kind attention that I never doubted he would do the right thing and do it in the gentlest of ways. I chose not to stay in the room during the extraction as I didn’t want to be a distraction though I was made to feel very welcome. Dr. Swauger came out personally to let me know how my daughter was doing and he was so tender and fatherly with her I truly appreciated both his professionalism and his humanity. I’ve already had a positive impression of the Swauger team, but this morning endeared them to me all the more. I highly recommend them as loving, care providers that your family will love and trust. My children look forward to their checkups at Swauger Pediatric Dentistry. Everyone that works there is kind, knowledgeable and caring. We recently had to change our dental insurance so I made certain that I chose the insurance company that was accepted at this dental office because we feel so comfortable and in great hands when we are there. Dr. Swauger and his team are the best and most trusted group in town! Dr. Swauger and his staff were awesome! He helped my 4 year old relax more than I thought would be possible. I am very impressed with the quality of their communication, office and overall service. The location works perfectly for me as well. My kids said, “I am so glad we find Swauger!” They are super amazing with my 2-year-old and just as fabulous with my 10-year-old and 17-year-old. They understand every age group and love each and every kid! Very clean and friendly! Very warming and kind to all ages of kids! They are amazing my son is two and he is autistic and I just knew he was going to have a bad first time but they were very gently a very comforting! He did amazing! Our experience with the Swauger office was phenomenal- really! The office was clean and so modern…had video games in the waiting room and a tiny potty on the bathroom. The hygienist were so nice…the one working on my son AND the one helping entertain my 1 year old. The dentist made every effort to make my son comfortable . Truly everyone was so patient and kind. I loved it!